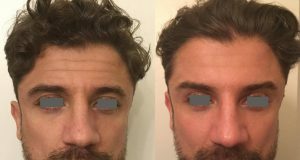 What are facial aesthetics treatments? What does facial aesthetics consist of? At St Raphael’s Dental Practice we are able to offer a range of treatment options that have proven to be both safe and effective, this includes injections to temporarily soften the appearance of frown lines and crow’s feet. Other options include dermal fillers designed to increase the volume and improve the appearance of the skin, fillers can be used to temporally improve the definition of certain facial features including lips, cheek and chin. How can I ensure facial aesthetic treatment is safe? 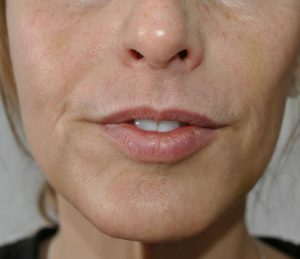 The most important aspect for patients when considering facial ascetics treatment is ensuring the practitioner is both suitably qualified and experienced. Consider also using practitioner who works from a clean and safe environment who provide a reputable service e.g. a health care establishment. At St Raphael’s Dental Practice we have worked hard to build up a reputation of being a caring patient focused practice providing dental care and facial aesthetics in a safe and clean environment. Our facial aesthetics practitioner Dr Jasmine Tirani has worked in dentistry and provided facial aesthetics for many years and prides herself on giving confidence back to her patients. During your consultation you will be asked to complete a medical history questionnaire. Dr Jasmine will then discuss with you your concerns, conduct an assessment of your skin and discuss your skin care regime and past experiences with facial aesthetic treatment. Dr Jasmine will then discuss her findings with you and suggest the most suitable treatment options and associated costs. These details will be confirmed in a written treatment plan provided via post following the consultation. What should I expect at the treatment appointment? Following the consultation Dr Jasmine will have provided a treatment plan outlining the treatment options and associates costs. During the actual treatment appointment Dr Jasmine will go through your medical history again, then confirm you are still happy to proceed. Dr Jasmine may provide a small amount of topical and/or injectable local anaesthetic to make the treatment more comfortable. The treatment may take between 30 minutes to an hour. Once the treatment has been completed at the end of the session Dr Jasmine will discuss advice on what to do and things to avoid immediately after the appointment. Dr Jasmine may schedule a follow up appointment to review the progress of your treatment. When having facial aesthetic treatment during the consultation Dr Jasmine will discuss in detail the risks associated with the proposed treatment, this may include swelling, bruising, infection and allergic reactions. It is normal to experience slight tenderness and swelling for up to 24 hours and we recommend you avoid alcohol, coffee and sunlight within this time. If you are considering facial aesthetic treatment and would like to know more or book a consultation with Dr Jasmine, please call us on 01695 627 617 or email us at hello@straphaelsdental.co.uk click HERE to download our before and after book.